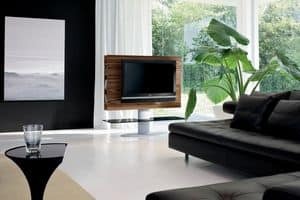 An anthology of pieces of furniture for the new central focus of the home, the TV. 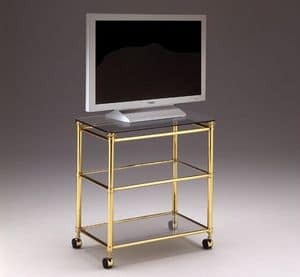 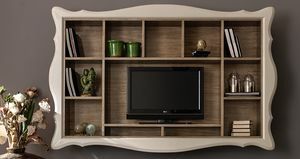 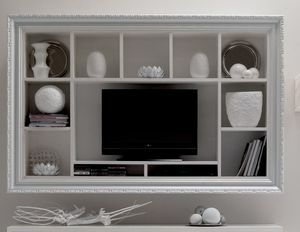 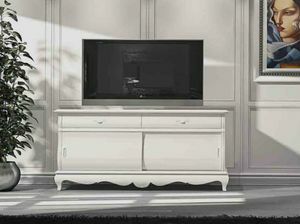 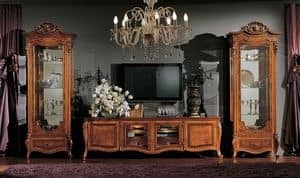 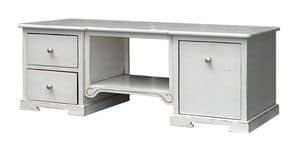 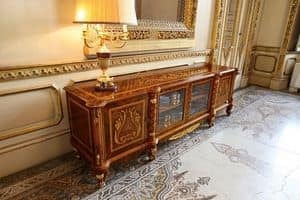 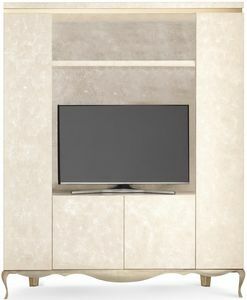 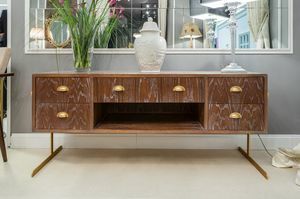 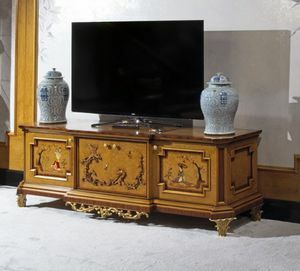 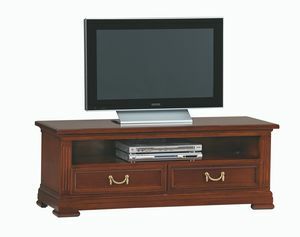 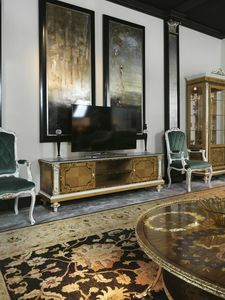 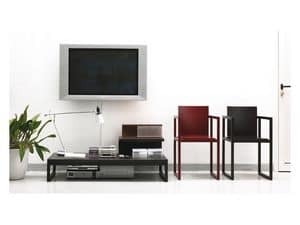 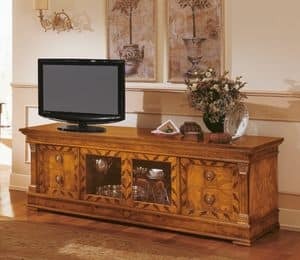 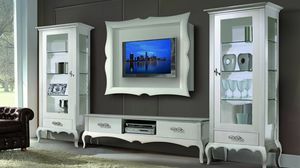 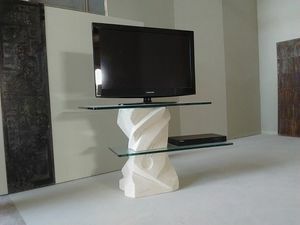 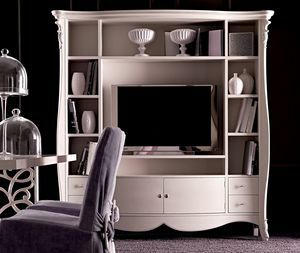 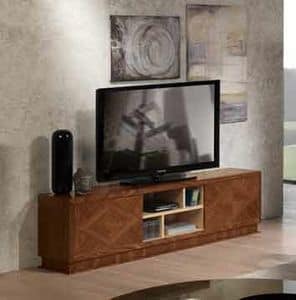 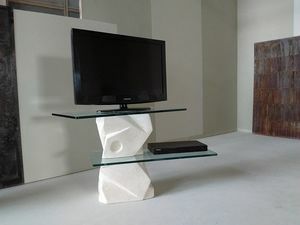 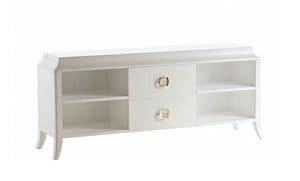 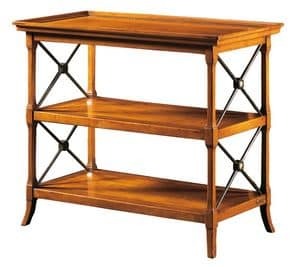 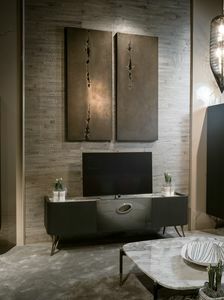 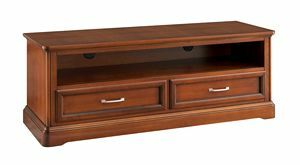 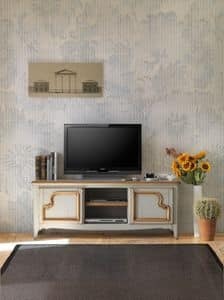 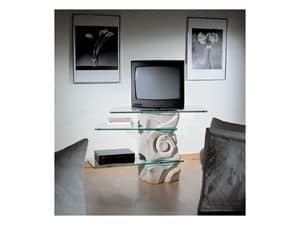 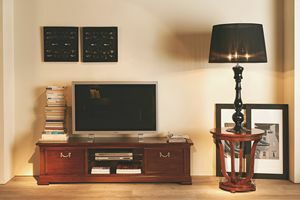 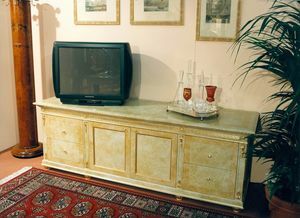 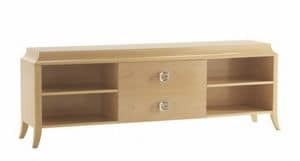 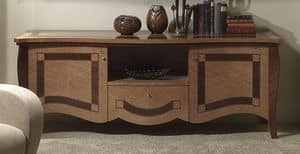 Here you find TV stands of different styles, to be set in living rooms and sitting rooms in homes or hotel rooms. 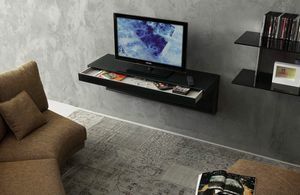 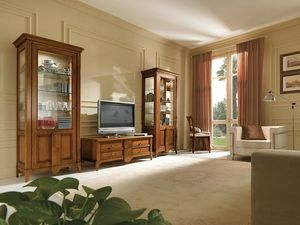 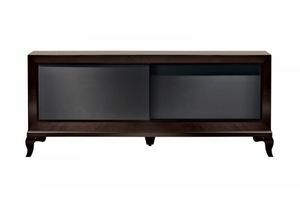 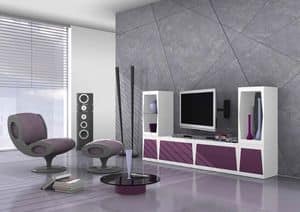 From the single unit for just the television set to the most complete home theater furnishing system. 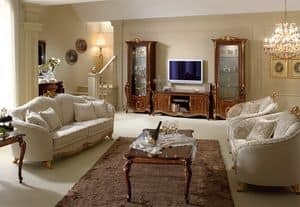 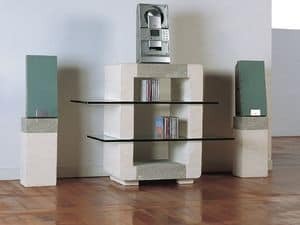 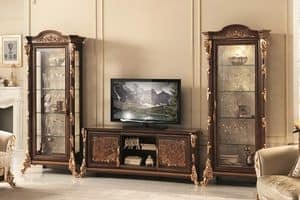 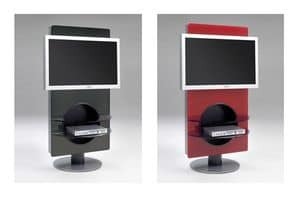 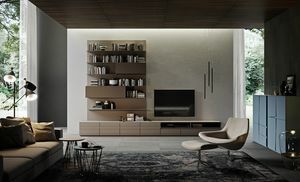 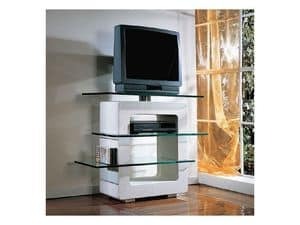 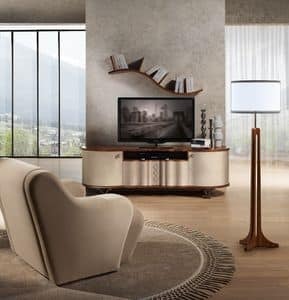 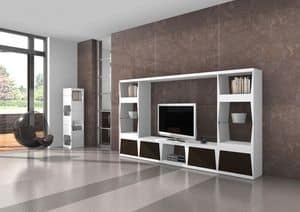 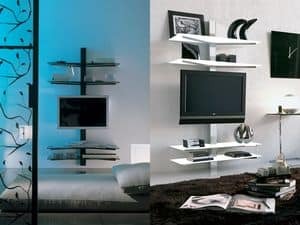 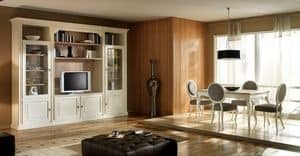 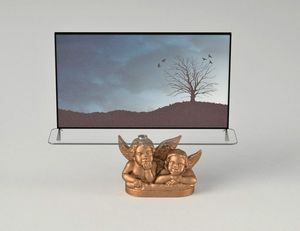 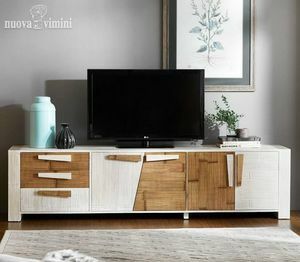 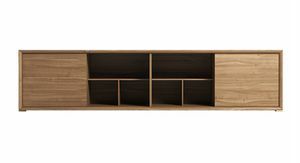 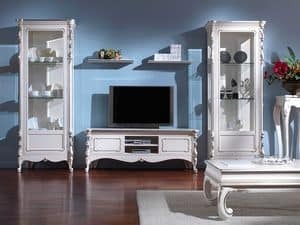 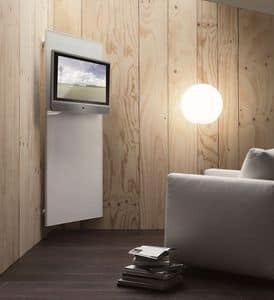 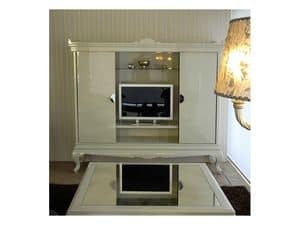 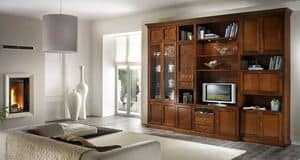 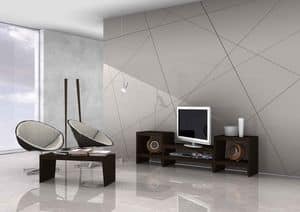 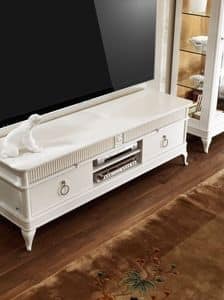 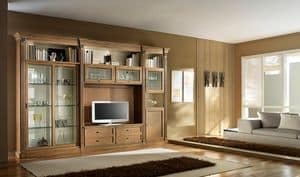 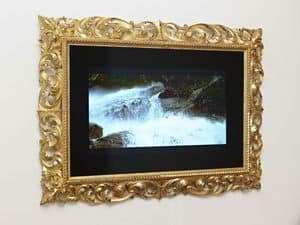 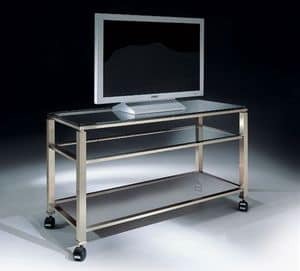 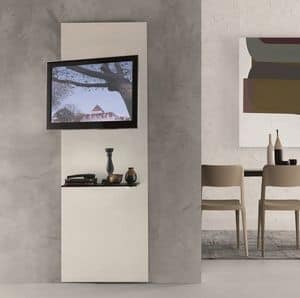 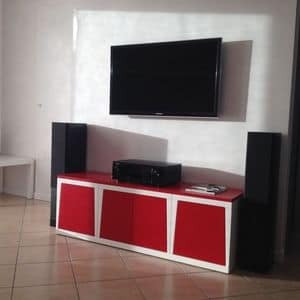 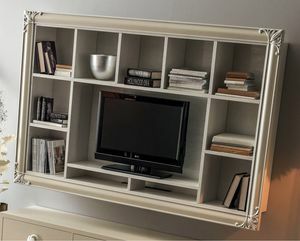 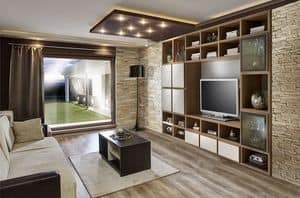 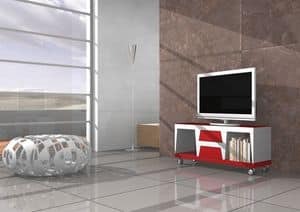 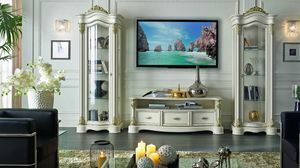 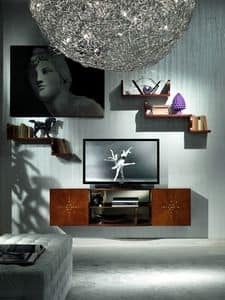 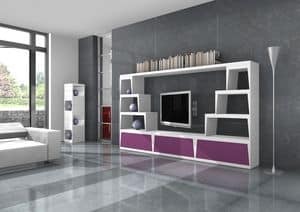 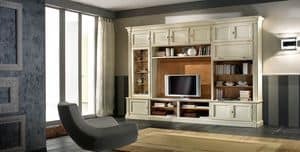 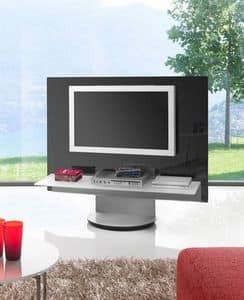 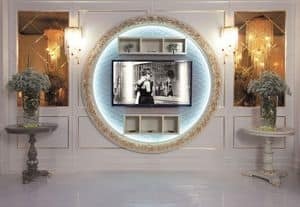 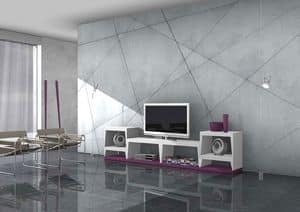 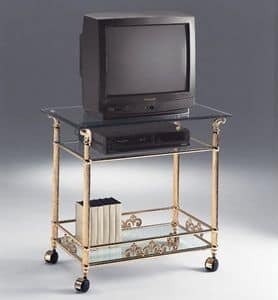 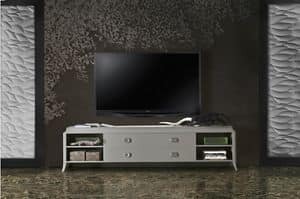 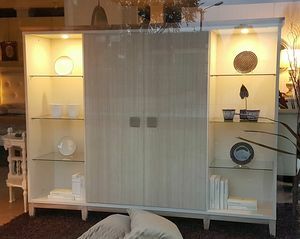 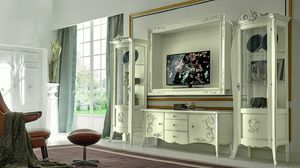 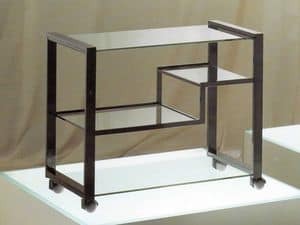 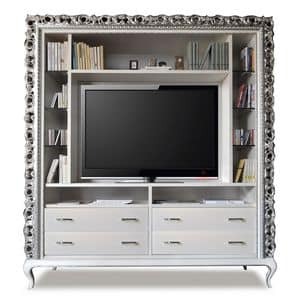 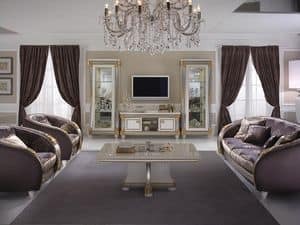 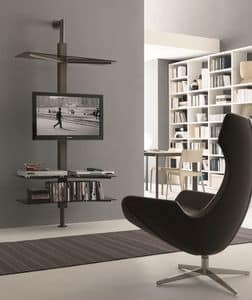 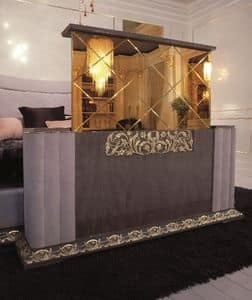 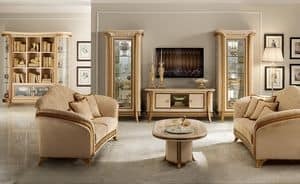 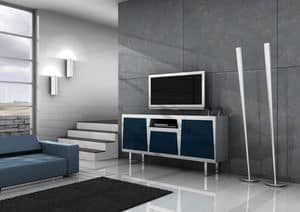 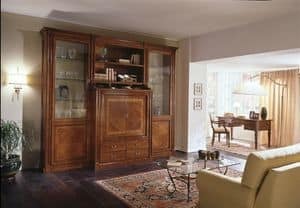 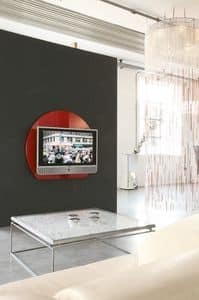 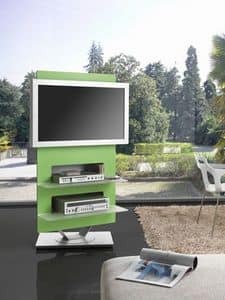 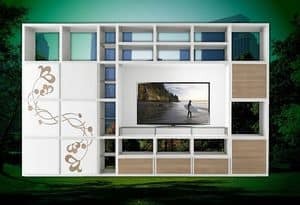 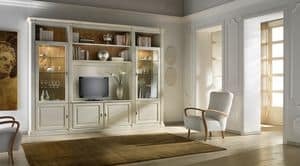 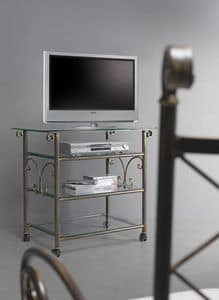 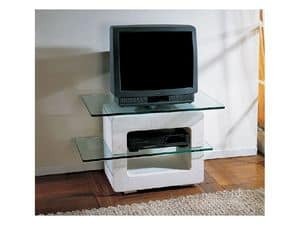 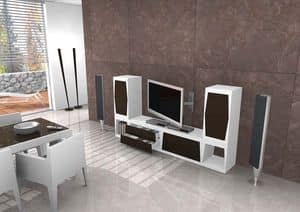 Made in glass, wood, laminate, metal and other materials, most are provided with spaces to conceal the cables and plugs and keep the line of the TV screen clean and at times also adjustable.